Check out the FitLabPGH Podcast (Sister Podcast of Moving2Live) featuring Menachem Brodie, released 10/8/17. 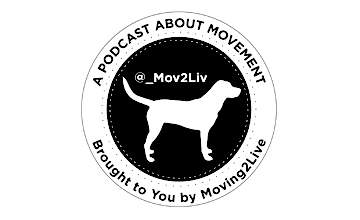 Check out the Moving2Live Podcast episodes featuring Dr. Sam Wood, released 9/27/17 and 10/11/17. Check out the Moving2Live Podcast episodes featuring Dr. Jay Dawes, released 10/25/17 and 11/8/17. Stuart M. McGill, PhD- Dr. Stuart M. McGill is a professor of spine biomechanics at the University of Waterloo (Waterloo, ON, Canada). His advice is often sought by governments, corporations, legal experts and elite athletes and teams from around the world. Difficult back cases are regularly referred to him for consultation. Any product associated with this website has been tested in Dr. McGill’s laboratory at the University of Waterloo, ON, Canada.